The Shambhala and Buddhist teachings can be studied and explored in the worldwide association of meditation centers founded by Vidyadhara the Venerable Chögyam Trungpa Rinpoche and now directed by his son and spiritual heir, Sakyong Mipham Rinpoche. The Shambhala community draws on a wide variety of contemplative traditions. The core practice is mindfulness-awareness meditation. Instruction follows the tradition of oral transmission from teacher to student-an unbroken lineage that goes back twenty-five hundred years. At each Shambhala Meditation Center, senior members teach meditation and work with their students in how to join the view and experience of meditation with everyday life. Meditation instruction is available free of charge at all Shambhala Meditation Centers. A comprehensive path of Buddhist practice and study is offered through the network of local centers. The Buddhist tradition provides a well-defined, graduated method of developing skillful action and wisdom through meditation practice and study of the dharma. Lineage: Chögyam Trungpa Rinpoche was the 11th descendent in the line of Trungpa tülkus, important teachers of the Kagyü lineage. Biography: The Vidyadhara Chögyam Trungpa Rinpoche (1939-1987) was the 11th descendent in the line of Trungpa tülkus, important teachers of the Kagyü lineage, one of the four main schools of Tibetan Buddhism and renowned for its strong emphasis on meditation practice. In addition to being a key teacher within the Kagyü lineage, Chögyam Trungpa was also trained in the Nyingma tradition, the oldest of the four schools and was an adherent of the ri-me ("non-sectarian") ecumenical movement within Tibetan Buddhism, which aspired to bring together and make available all the valuable teachings of the different schools, free of sectarian rivalry. Throughout his life, he sought to bring the teachings he had received to the largest possible audience. Already installed as the head of the Surmang monasteries in eastern Tibet, Chögyam Trungpa was forced to flee the country in 1959, at the age of 20. Barely escaping Chinese invaders, he and a small party of monks made the perilous journey over the Himalayas to India on horseback and on foot. From 1959-1963, by appointment of His Holiness, the Dalai Lama, Chögyam Trungpa served as the spiritual advisor for the Young Lamas Home School in Dalhousie, India. In 1963, Chögyam Trungpa moved to England to study comparative religion, philosophy, and fine arts under a Spaulding Fellowship at Oxford University. During this time, he also studied Japanese flower arranging and received an instructors degree from the Sogetsu school. In 1967, he moved to Scotland, where he founded the Samye Ling meditation centre, the first Tibetan Buddhist practice centre in the West. Shortly thereafter, a variety of experiences - including a car accident that left him partially paralyzed on the left side of his body -led Chögyam Trungpa to the decision to give up his monastic vows and work as a lay teacher. In 1969, he published Meditation in Action, the first of fourteen books on the spiritual path published during his lifetime. The following year represented yet another turning point in Trungpa's life, when he married Diana Pybus and moved to the United States, where he established his first North American meditation centre, Tail of the Tiger (now known as Karmê-Chöling) in Barnet, Vermont. The ancient teachings and practical instructions that Chögyam Trungpa brought with him found an eager audience in the America of the 1970s, a decade during which he travelled nearly constantly throughout North America, published six books, established three meditation centres and a contemplative university (Naropa University). 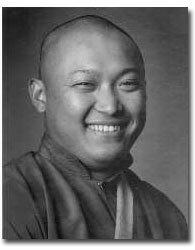 He became renowned for his unique ability to present the essence of the highest Buddhist teachings in a form readily understandable to Western students. During this period, Chögyam Trungpa conducted six Vajradhatu Seminaries, three-month residential programs at which he presented a vast body of Buddhist teachings in an atmosphere of intensive meditation practice. The seminaries assisted in the important function of training his students to become teachers themselves. Chögyam Trungpa also invited other teachers, including His Holiness the Gyalwang Karmapa -head of the Kagyü lineage - to come to the West and offer teachings. It was also during this period that Chögyam Trungpa founded Vajradhatu (headquartered in Boulder, Colorado), the umbrella organization for the many centres that were springing up throughout the world under his direction. In 1976, he appointed Thomas Rich to be his Vajra Regent, a traditional position giving someone the responsibility of carrying on the teaching legacy left by a teacher. Vajra Regent Ösel Tendzin was the first westerner to be acknowledged as a lineage holder in the Kagyü tradition. Late in the 1970s, Chögyam Trungpa expressed his long-held desire to present contemplative practice to those who were not necessarilly interested in studying Buddhism. He developed a program called Shambhala Training, based on the legendary enlightened kingdom of that name. During the 1980s, while continuing teaching tours, Vajradhatu Seminaries, and book publication - and establishing a Buddhist monastery in Cape Breton, Nova Scotia, Canada -Trungpa increasingly turned his attention to the propagation of teachings that extended beyond the Buddhist canon. These activities included not only Shambhala Training, which was attracting thousands of students, but also Japanese archery, calligraphy, flower arranging, tea ceremony, health care, dance, theatre, and psychotherapy, among others. In planting the seeds for these many activities, Chögyam Trungpa sought to bring, in his words, "art to everyday life." He founded the Nalanda Foundation in 1974 as an umbrella organization for these activities. The essence of the organization that Chögyam Trungpa had founded was the offering of meditation instruction and teaching programs at the more than 100 city - based centres (Dharmadhatus) spread throughout the world and at the several rural contemplative centres where intensive meditation and study programs were held. At these various centres, which formed a large and somewhat informal network, students were introduced to the possibility of integrating meditation practice and study into their everyday lives. Depending on their interests and inclinations, students engaged in any of the many contemplative activities that are now part of the Shambhala organization - from traditional meditation practice to flower arranging and dance. In 1986, based on his desire to establish the centre of his organization in a less agressive and materialistic atmosphere, Chögyam Trungpa moved to Nova Scotia, where hundreds of his students had already settled. It would prove to be the last of his many moves. 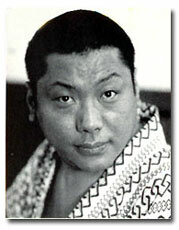 Not long after, in April 1987, Chögyam Trungpa's life came to an end. His passing was marked in an elaborate day-long ceremony, attracting more than 3,000 people, held on the Vermont land where he had first established a foothold in the West. Several years later, the Vajra Regent passed away as well. During the period following these deaths, the community and its leadership turned to one of Chögyam Trungpa's most revered and only living teachers, Dilgo Khyentse Rinpoche, then supreme head of the Nyingma lineage. There are over 100 Shambhala Centers located throughout the world. In May 1995, with the organization in its twenty-fifth year, Shambhala Centres expanding throughout the world, and a well-established Nova Scotian community, the Sawang was formally installed as Sakyong - leader of both the spiritual and secular aspects of Shambhala. The Sakyong enthronement also recognized the Sakyong as Mipham Rinpoche, a descendant of the revered nineteenth-century Tibetan meditation master and scholar. This ceremony marked an important milestone in the history of Shambhala International, recognizing the role of Sakyong Mipham Rinpoche in carrying on what his father envisioned when he set foot on North American soil twenty five years earlier. Chögyam Trungpa wrote more than two dozen books on Buddhism and the Shambhala path of warriorship. The following is a list of books and publications by the Vidyadhara, the Venerable Chögyam Trungpa Rinpoche, published by Vajradhatu Publications in Halifax and Shambhala Publications in Boston.